Make a "global" display of gratitude for their hard work and dedication! The eye-catching design of the small Geodesic Award is the perfect place to display recognition or appreciation. This 4-3/4" W x 6-3/4" H x 2-1/4" trophy is one of many designs available with deep-etched customization that shows up beautifully on this crystal prize. 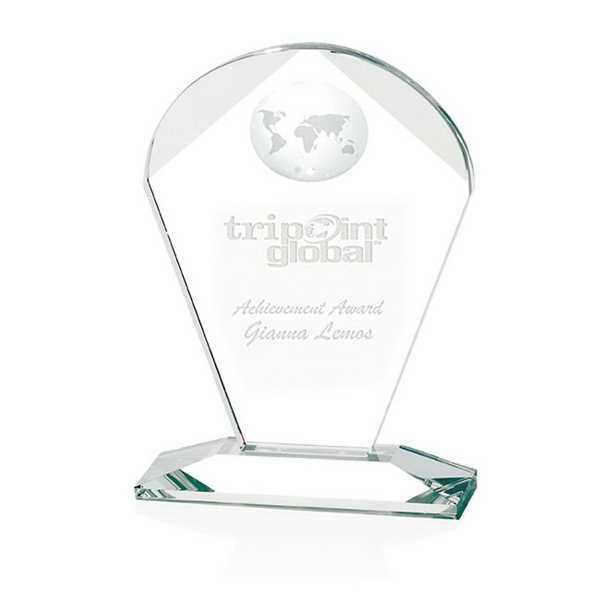 The globe inset and unique design will keep this award on your recipient's desk for a long time to come! Size: 4 3/4 " x 6 3/4 " x 2 1/4 "